If you're already a student or a fresher then you'll already know that hangovers from freshers week or ANY night out at uni are from absolute hell and there is no point trying to glorify it and make it easy as it ain't. I always want super good tasting food when hungover but never have the effort to try put anything together that's quick and easy and ordering takeaway costs TOO much. However, my aim recently has been to try experiment and find the best cheap quick and easy recipes and foods to get rid of those hangover blues. The reinvented BLT toastie... bacon, avocado egg sandwich. Super quick and even better when it's tasty and I guess you could say healthy too. Cook the bacon to your liking over medium heat. Drain on paper towels, wipe down the pan and lightly toast your bun in the slight residual bacon fat. Lightly beat the eggs with salt and pepper and add to the pan, swirling so the entirety of the pan is covered. When most of the egg is cooked, add a slice of American cheese in the middle and fold into a square. 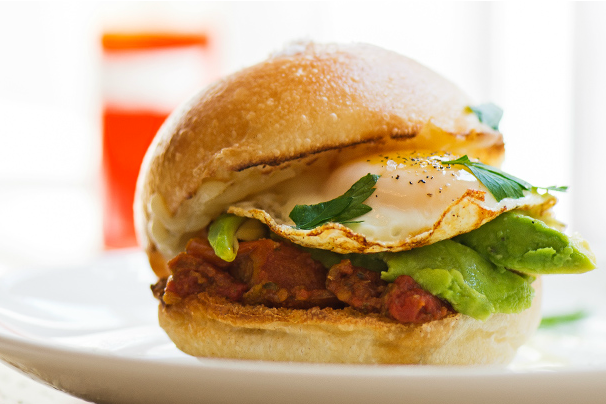 Scoop up the cheesy egg square and place on the toasted bun, topped with bacon and smashed avocado. Season with salt and pepper if desired, squish together and enjoy immediately. This one is pretty self-explanatory and you can take things out like the bacon and substitute it with sundried tomatoes or whatever takes your fancy. Forget ordering some greasy dish from your local Chinese, gather a few fridge essentials and... whip up creamy tomato chicken pasta bake, mmmm! Fry the cut up chicken in a frying pan and then drain off on paper towel. Add the diced onion and chopped tomatoes to the frying pan and cook that off in the excess oil from the chicken. In a separate pan boil the pasta with salt and pepper until its cooked and no longer al dente. 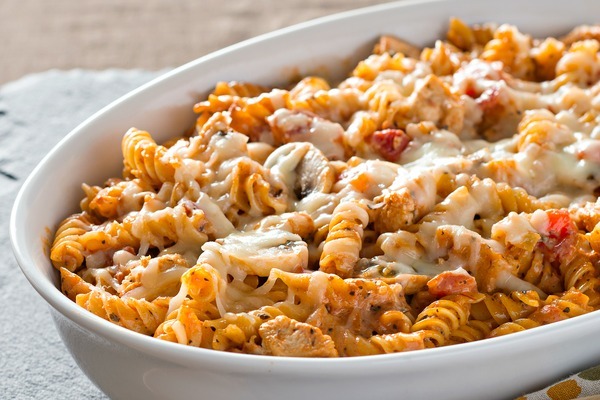 In an oven-proof dish add the pasta, chicken, onion and tomatoes to the pasta sauce and add a sprinkling of cheese on top and bake in the oven for 20 minutes until the cheese is bubbling and melted. Again another simple yet quick recipe which is healthy but will cure those hangover cravings! Both these recipes are simple and taste so delicious when you're hungover and in serious need of a pick-me-up feel-good foodie feeling. If you do want to see more recipes like these make sure to comment below and share for more! !